ECT crimping pliers make receptacle crimping fast and easy. 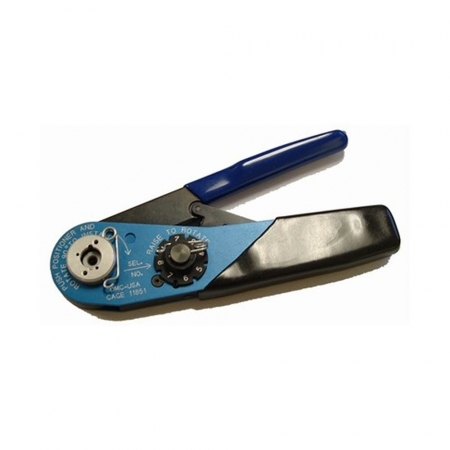 The standard ratchet-action jaws are individually fitted and inspected to ensure quick insertion and removal of the receptacle. The tool features an internal high-tension coil spring for fatigue-free operation and a lifetime of dependable service. Vinyl cushion grips ensure a firm grip with minimum applied pressure. Instructions are provided. The 900 series crimp pliers requires a corresponding crimp locator (CL) in order to function properly.